Hi and welcome to my Attack and Counterattack in Chess review. This book was written by Fred Reinfeld and published by Barns and noble in 1954. It focuses on the attack and counter attack of chess. I believe these to be very important subjects and a great style in which to play. You can clearly see from some of the games how fun and advantageous it can be to play in an attacking style of chess. The book is in 2 main parts. 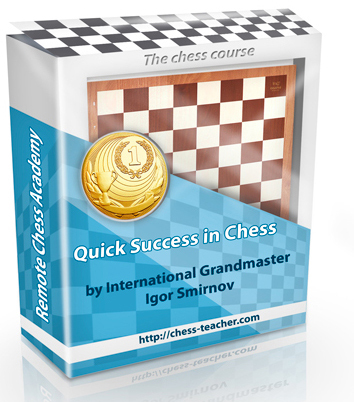 The first one covers the control of the center, exploiting the mobility of your pieces, how to exploit the enemy’s premature opening of the position, exploiting weak pawn moves, errors and irregular defense. In the second part it talks about how to seize the initiative, how to play against gambits, how to defend against powerful attacks, how to seize the attack & how to exploit unusual openings. I believe these are all great subjects to study and are very important especially for an attacking player. The book might be a bit old but still looks pretty clean. There is about 1 chess diagram per page to help you follow with. The information it teaches is still very current and applicable today. In conclusion, I would recommend this book because of it’s content. The printing of this book is a little out of date but I think this style of play is really good. This book can help most students really improve their game. This book is for beginners and intermediate players. The information is well presented and you can easily find quick progress after studying this book. Even if you don’t personally like to play this attacking style, you will most likely face opponents that will. Thanks for reading and I hope that you have enjoyed my Attack and Counterattack in Chess review.